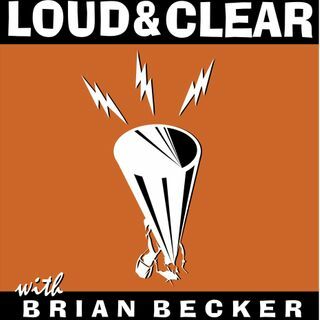 On today's episode of Loud & Clear, Walter Smolarek (filling in for Brian Becker) and John Kiriakou are joined by Jacqueline Luqman and Abdus Luqman, the editors-in-chief of Luqman Nation, which livestreams every Thursday night at 9:00 p.m. on Facebook. Friday is Loud & Clear’s weekly hour-long segment The Week in Review, about the week in politics, policy, and international affairs. Today they focus on Michael Cohen’s testimony this week, the issue of reparations in the 2020 ... See More elections, the Kim-Trump summit in Hanoi, and Nigerian elections. South Korean President Moon Jae In struggled to save face today after the collapse of President Trump’s summit with North Korean leader Kim Jong Un. Moon said in a speech that the summit’s failure makes South Korea even more important on the world stage. But polls show that most South Koreans wanted the summit to succeed. Meanwhile, the North Koreans wanted sanctions relief more than anything, and they got none of that. Hyun Lee, a member of the Solidarity Committee for Democracy and Peace in Korea and writer for Zoominkorea.org, joins the show. Israel’s Attorney General yesterday indicted Prime Minister Benjamin Netanyahu on three felony counts related to bribery and breach of trust. The announcement, coming just before next month’s general election, is a major blow to Netanyahu as he seeks a fifth term in office. Brian and John speak with Miko Peled, the author of “The General’s Son - A Journey of an Israeli in Palestine.” Miko Peled has a new book "Injustice: The Story of the Holy Land Foundation Five. Army whistleblower Chelsea Manning revealed yesterday that she has been subpoenaed to testify before a grand jury in the Eastern District of Virginia. Last month the Justice Department accidentally revealed that it had secretly indicted Wikileaks co-founder Julian Assange in the Eastern District. Manning said that she will fight the subpoena. New York Governor Andrew Cuomo can’t just let Amazon walk away. So he’s written an open letter to Amazon founder Jeff Bezos begging him to reconsider his decision to not open a second headquarters in Queens. Cuomo also has phoned Bezos and other Amazon executives asking them to come back. Dr. Jack Rasmus, a professor of economics at Saint Mary's College of California and author of “Central Bankers at the End of Their Ropes: Monetary Policy and the Coming Depression,” whose work is at www.jackrasmus.com, joins Walter and John.